Halloween is so much fun! When else can you serve guests food that looks like earwax and cat poop and get away with it? These 17 party recipes are some of the grossest we could find and to be quite frank…. they just look nasty! While they look horrible, you can bet they all taste amazing. 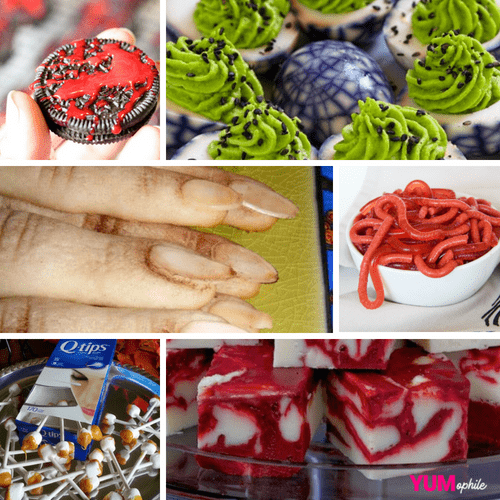 Make one or make them all and your Halloween party is sure to be a huge hit.